ModBargains.com has a full line of GReddy Racing Ti Full Y-back Exhaust Kits for sale at low prices prices everyday. Get FAST Shipping, Order Online or CALL 714-582-3330 to save! 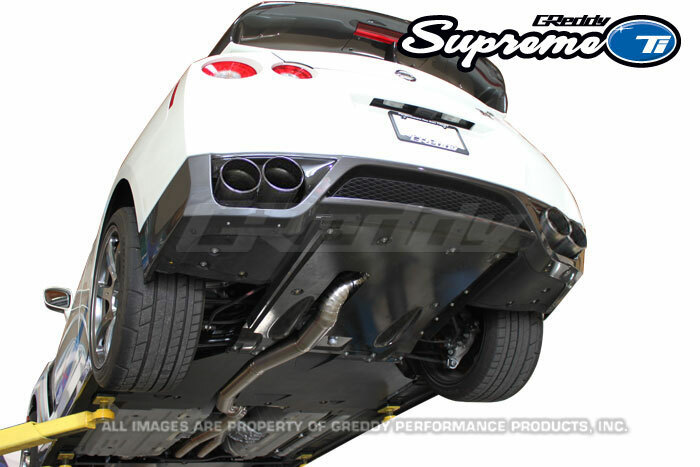 ModBargains is pleased to introduce the ultimate exhaust system for Nissan R35 GTR, the new Supreme Ti Exhaust! Your VR38DETT powered beast of a GT-R is meant to sound amazing, and it does. 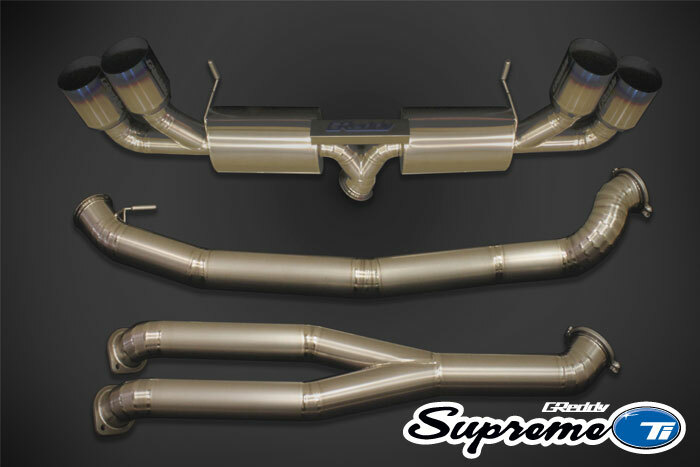 But it could sound and perform better with the new GReddy Supreme Ti Exhaust. With 125mm, Burnt-Ti finished tips and a 80mm-94mm y-pipe, this system is meant to increase airflow, performance, and tone. This exhaust is a Titanium Y-back system, constructed of hand-built, "inch-welded" titanium. Included are 2 SS V-band clamps for install, and three pieces to form the entire exhaust. Extract every bit of power your engine can produce with this new 94mm (3.7") straight through Titanium exhaust, that is still quiet and comfortable for everyday use! Hand-built piping is pain-painstakingly "inch-welded" for excellent fitment and flow. Professional installation is recommended. 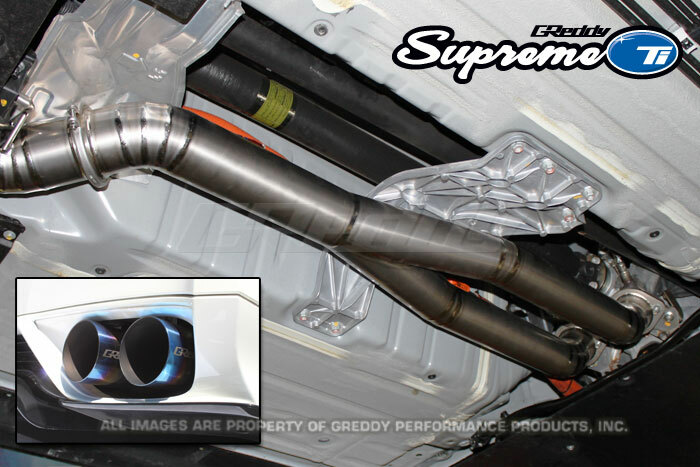 Get this GReddy Racing Supreme Ti for R35 GTR installed by our experts at ModBargains. Our experts are highly trained to perfect each install.